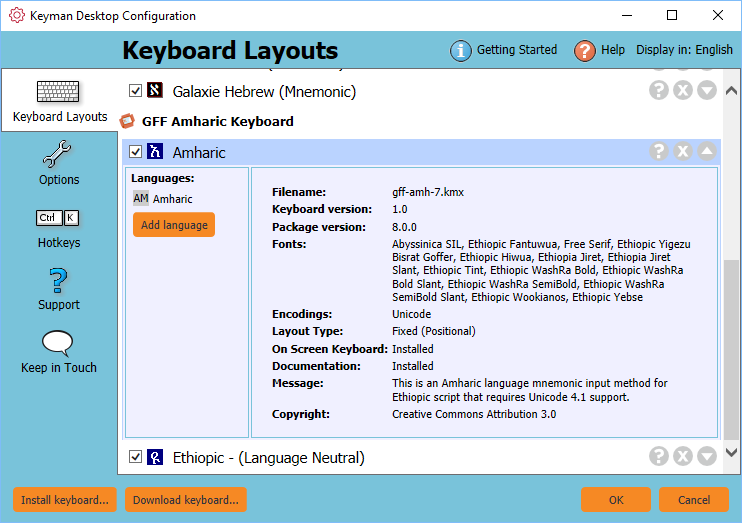 Keyman keyboards can be enabled and disabled. 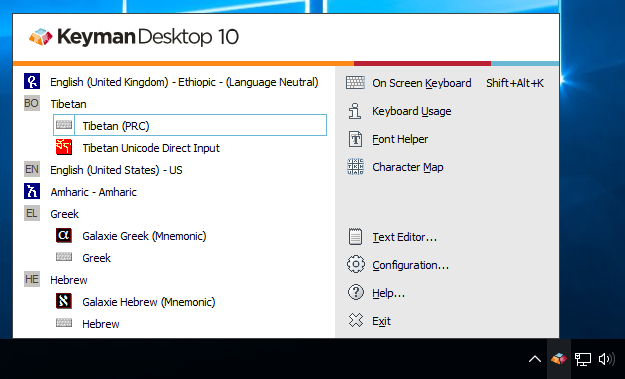 You are using a single keyboard layout from a package with multiple keyboards and you want to remove the extra keyboards from the Keyman Toolbox and menu. You have a keyboard layout installed which you aren't currently using but don't want to uninstall. Untick the checkbox beside the Keyman keyboard. When a keyboard layout is disabled, its name appears in grey and its checkbox is unticked. Tick the checkbox beside the Keyman keyboard.